As the creator of Black Triumph Productions, Rick Williamson is an American actor who has worked professionally for many years in Hollywood, California. A Theatre Arts graduate, he has applied his experience in the visual arts world to create award winning entertainment that is both visually appealing as well as intellectually stimulating. Rick has seen much of the world being born in Germany to a military family. His adventures include a visit to Saigon in 1969 as a child, and attending a seminary on the Pacific island of Guam. He has been involved in the entertainment business as a writer, director, producer, a professional actor and stuntman as well as a puppeteer. Rick has written and directed for both stage and screen. "The Puppet Show", a one-act play that Rick wrote, directed and acted in, had its world premiere at the prestigious Company of Angels Theatre in Los Angeles. His most recent film project, "A Short Film" has won awards both in Los Angeles and New York City. 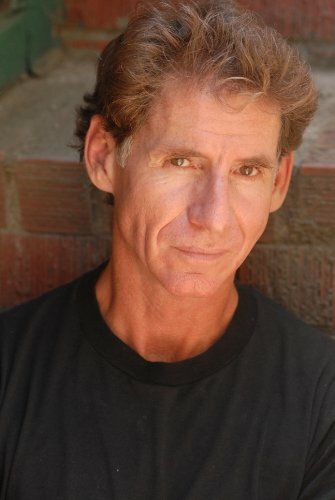 He has worked as a professional actor in both film and television including CSI: NY, General Hospital, Conan, and Reno: 911. Rick has appeared in over 50 television commercials. He was nominated for best actor in the film, "Broken Border" and has starred onstage in the award winning production of "Bleacher Bums" in Los Angeles. Rick has performed stunts in dozens of episodic television shows and films. He currently is a stunt driver for the TV series, "Touch". © 2014 Black Triumph Productions. All Rights Reserved.